Have you ever heard of an inflatable airplane? Believe it or not the Goodyear Aircraft Company built 12 of them between the years 1956-1962! 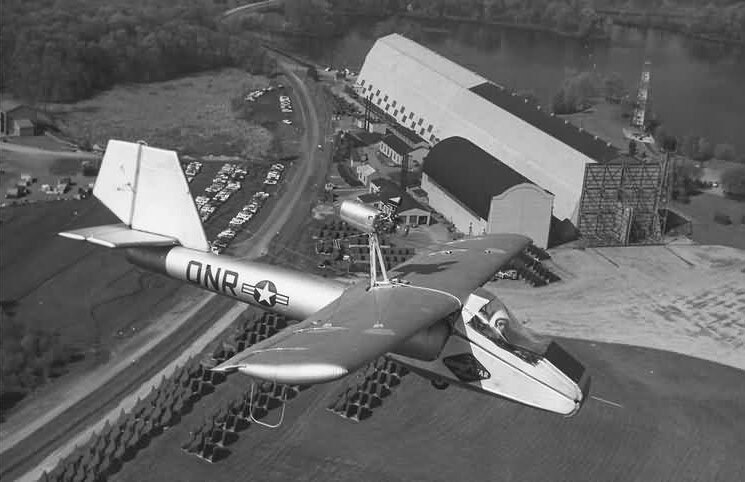 The Goodyear Aircraft Company built this airplane in response to the U.S. Army request for an aircraft that could be used as a possible rescue plane that could be dropped in a hardened container behind enemy lines. 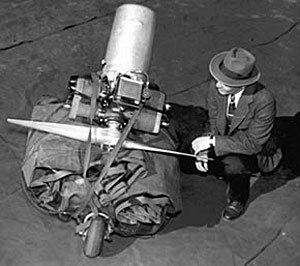 The airplane was made of a special sandwich of rubberized materials called "airmat". 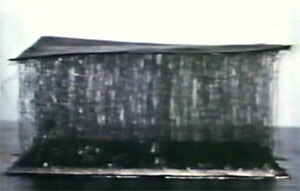 The inner portion of this airmat material was composed of numerous meshes of nylon threads which, when inflated with air, would form a strong "I" beam structure. The shape of the wings and other flight structures were maintained inflight by a steady circulation of air provided by the aircraft's engine after the initial inflation of the airplane, (which took as little as 25 psi. and 5 minutes to inflate) and was said to be quite rigid. The fuselage was made of airship fabric with high-strength, fan-shaped patches of rubberized material providing attachments for struts and metal supports that connected the landing gear and the pilot's seat to the aircraft. Goodyear made two versions of this aircraft, a single place, GA-468 and a two place GA-466. The GA-466 was the two-seater version, 2 in (51 mm) shorter, but with a 6 ft (1.8 m) longer wingspan than the GA-468. A more powerful 60 horsepower (45 kW) McCulloch 4318 engine could power the 740 pounds (340 kg) of plane and passenger to 70 miles per hour (110 km/h), although the range of the plane was limited to 275 miles (443 km).